We celebrate our 50th independence anniversary today. We are divided as a nation on the significance of this day and whether to celebrate or not. Americans and Europeans - who are better organised, with good infrastructure etc - are also divided on several issues of importance to them like Wade vs Roe and how to manage the economy. So we are not alone in being a divided nation on issues that are important to us. If anything, the fact that we register our anger, anxiety and frustration is proof of our engagement in the discourse that will ultimately change our nation. If Nigeria must be better, we have to be upbeat about the possibility of making change happen. Nobody has succeeded in making change happen by nursing despair and pessimism. Whilst there may be the odd moments of doubt, for real change and success to happen, these doubt moments must be dwarfed by the consistent wellspring of optimism. With optimism, I’m not advocating vacuous parties or entertainment-loaded, face-capped celebrations at Abuja’s Eagle Square or Lagos’ Tafawa Balewa Square that only numb the pain of our protracted failures. Such non-events often at the behest of fame-seeking individuals egged on by their huge ego only take advantage of people and have no lasting relief for our national problems. These non-events places us squarely with the analogy articulated by St. James of a man who beholds himself in the mirror, probably thinks he is cool, but forgets what he looks like the moment he walks away. Proper optimism is not only about keeping hope alive; what it does is to motivate the optimist to do something to make change happen. It is no rocket science that it is much easier to give your all to when you believe in a course. 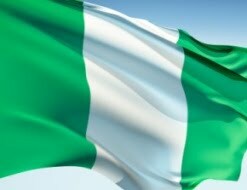 If we despair about Nigeria and join the bandwagon of those who believe that Nigeria will never change, then we defer the moment of change. Only a fool will argue that the problems our country faces are not formidable. They are! We all know it. But do we stop there and just accept that it is not possible? Do we just accept our police are corrupt and there is nothing we can do about it? Do we just accept that bribery is a way of life and it can’t be changed? If we do, it will be a case of the Yoruba adage which says “when a bird lands on a string, there is no rest for the string and no rest for the bird”. We all will continue to suffer the consequences if we do not accept that it is possible to make a change. A good way to engineer change is through optimism. Once we nurture optimism, the next level is to be individually responsible. Whilst optimism motivates, responsibility is the beginning of the action that changes society. We accept that our governments are largely irresponsible, but we, the citizens, can become responsible. I say again, we, the people can be responsible! Through individual responsibility, we can stop throwing litter on the streets and dispose off our refuse properly. Through individual responsibility, we can treat our staff, subordinates and colleagues with dignity and fairness. Through individual responsibility, we can drive responsibly and with due care for other road users. Through individual responsibility, we can force the police to change by not giving bribes, we can make governments – local, state and national to sit up and shape up. Through individual responsibility, we can begin a revolution devoid of guns, spears and arrows that will go viral and transform our society. Becoming responsible does come with a cost. It will inconvenience, it may lose you contracts, but these are hardly huge prices to pay for social and national change. People paid with their lives in Britain for the right to vote. Martin Luther King Jnr and many others paid with their lives for the civil rights enjoyed by millions of black Americans today. School children paid with their lives in the Sharpeville massacre of 1960 for today’s black majority rule in South Africa. My point is that, responsibility is not lame. True responsibility is an action thing. It talks, it refuses, and it is often painful. What can make change faster is when we join efforts through community action. This is an extension of individual responsibility. Community action is in effect community responsibility. In Nigeria, we have several community groups such as religious bodies, schools, social clubs, sports clubs, unions, corporate organisations, professional bodies, residents associations that can begin to act as think-tanks and pressure groups. Let us use these community groups to pressure our local, state and national governments to make change happen. If a significant number of these groups change their tack and become responsible, we will make change quicker and faster. We can use these organisations and groups to support and fight for members who suffer because they refuse to give bribes. By standing together, it will be easier for individuals to stand up, knowing that they have the backing of others, and then we will be able to slay the Goliaths of bribery, police brutality and government irresponsibility. So on this, our 50th independence anniversary, keep optimism alive, be responsible and use your influence to ensure that any organisation or group that you belong engages their community responsibly. The change we all yearn for will be nearer than we first believed.